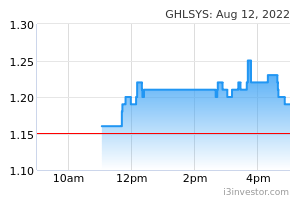 Yesterday, GHLSYS gained 6 sen (4.2%) to close at RM1.50, despite spending almost half the day in red. Technically, trends have been positive after the share seemingly bottomed-out early April. Key SMAs are now in “Golden Cross”, while momentum indicators such as the MACD continue positive displays. From here, follow-through buying could see the share continue trending towards resistances at RM1.62 (R1) and RM1.80 (R2). 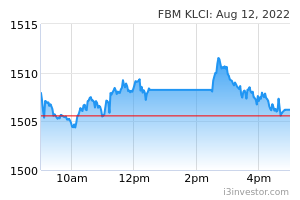 Conversely, immediate supports can be found at RM1.42 (S1) and RM1.33 (S2). 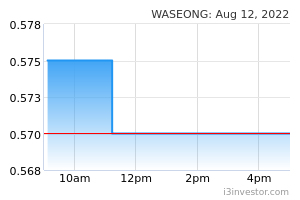 Yesterday, WASEONG climbed 8.0 sen (6.3%) to close at RM1.35. Technical-wise, the share underwent a rapid uptrend until March-2018 before transitioning into a period of consolidation. While there is still a lack of signal for a bullish continuation of prior rally, RM1.25 is shown to be a strong support level with multiple successful rebounds from it. Nonetheless, indicators such as the Stochastic seem to suggest that WASEONG is oversold. From here, expect RM1.25 (S1) to provide a firm support. Meanwhile, investors may buy on dips with an expectation of a rebound towards RM1.50 (R1) and RM1.66 (R2) further up. However, should S1 lose ground; the outlook is deemed as negative, with next support only to be found at RM1.06 (S2).